The Pops Gustav Archive: And you think YOUR little brother is a demon! As we’ve said before, the notion of terrifying tots in movies is actually quite silly when you think about it realistically. But our culture is so family-centric that the idea of tainted purity is a parent’s worst nightmare. But to those of us who haven’t procreated, it takes a lot (aside from poopy pants) to make children seem scary. Something like, say, the kid being the spawn of Satan. The demon-tot mini-genre got its start in 1968 with Roman Polanski’s adaptation of Ira Levin’s novel, “Rosemary’s Baby ” (although the titular tyke doesn’t appear until the film’s climax). Mia Farrow plays Rosemary Woodhouse, the dutiful wife of a struggling actor named Guy (John Cassavetes). When the couple moves into an enormous gothic apartment in Manhattan, they’re immediately befriended by Minnie and Roman Castevet, an eccentric old couple down the hall. As the Castevets insinuate themselves more and more into the Woodhouses’ lives, Rosemary becomes pregnant and Guy’s acting career takes off. Rosemary soon becomes annoyed by Minnie’s (a perfect Ruth Gordon) intrusions, but Roman curiously encourages them. When Rosemary starts to think that there’s something Satanic going on, her sanity comes into question, and she begins to feel the victim of an evil conspiracy. The genius of “Rosemary’s Baby” is that until the final scene, the audience is never sure whether they’re watching a psychological drama or a horror film. Almost 40 years later, opinions are still split down the middle as to the whether the ending of the film (“He’s got his father’s eyes!”) makes or breaks it (Our verdict: Makes). Of course, the grand-demon of films in this category is “The Exorcist ,” a movie so legendary that you’d be hard pressed to find any list of best horror films that DOESN’T place it in the top five (and if you do find such a list, it’s wrong). 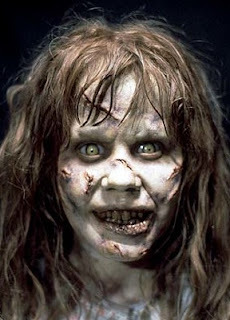 Director William Friedkin’s 1973 movie (written by William Peter Blatty after his own novel ) tells the tale of Father Damien Karras (Jason Miller), a Catholic priest suffering a crisis of faith who is called to aid in the exorcism of Regan MacNeil (Linda Blair), the possessed young daughter of a single mom / movie star. What happens in Regan’s Georgetown bedroom forever changes everyone who sees what she’s become (and no doubt breaks the lease). The movie may seem slow by today’s standards, but that’s the point. Its unrelenting tension, peppered with sometimes subliminal shots of terrifying imagery along with moments of shocking demonic behavior create an experience that’s almost hypnotic. Anchored by amazing performances and that great, gritty atmosphere of 70s cinema, “The Exorcist” is the cinematic equivalent of the battlefield foxhole; it’s hard to be an atheist while immersed in it. In 1976, TV director Richard Donner made his big screen debut with “The Omen ,” about a tricycling antichrist secretly adopted by an American ambassador and the people who would destroy him. 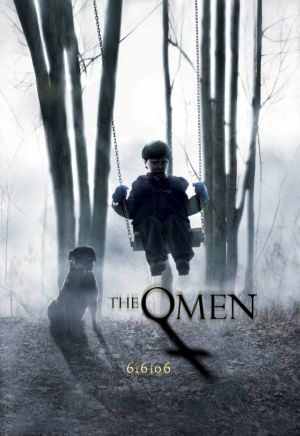 Since the new “Omen” purports to be a faithful remake, we don’t wanna give any story details that might ruin it for newbies, so we’ll just say Schreiber, Stiles, et al have a lot to live up to. The goldfish bowl scene alone will sear itself into your psyche. “The Omen,” aside from being a taught, effective chiller with great acting by Gregory Peck and Lee Remick, was seminal in that it was the first film to feature a series of unusual gruesome deaths. Movies like the “Friday the 13th ” and “Final Destination ” series owe their entire structure to “The Omen.” The key difference being, the deaths in “The Omen” serve the story; They’re not the hooks on which the whole film hangs. 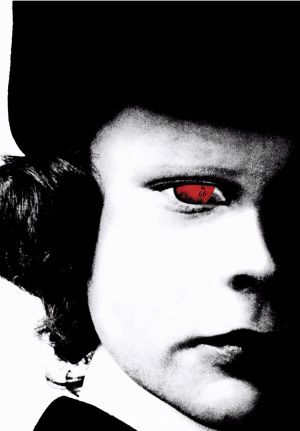 While “The Omen” spawned three sequels (including a 1991 TV movie), only “Damien: Omen II ” is worthy of its predecessor. Picking up seven years later, the 1978 film (directed by Don Taylor) finds 13-year-old Damien a promising, if difficult cadet at a military academy, alongside his step-cousin / best friend Mark, the son of Damien’s Uncle Richard (who now has custody of the li’l hell raiser). Having difficulty fitting in, Damien’s life is further complicated when Master Sergeant Neff (Lance Henricksen) tells the young cadet he is the child of Satan. Pubescence is tough enough without being told that your legacy is to bring about the End of Days! “Omen II” features a chilling, yet touching performance by Jonathan Scott-Taylor as Damien, a young man torn between his destiny and his desires. Jerry Goldsmith turns in another eerily perfect score to follow his music in the first “Omen.” And there’s an agonizing scene involving a winter hockey game that’s horrifying enough to make you chuck your ice skates in the trash. After “Omen II,” the Satanic-kid flick seemed to fade away as teenage slasher films became the dominant horror genre in the late ‘70s through the ‘80s. With religion being such a flashpoint in everyday discourse, it’s surprising that there hasn’t been more of an uproar over the return of Damien to the big screen. Would-be censors should be careful.... while they’re all focused on the dangers of “The DaVinci Code,” that cute little kid on the swingset with the big dog and the evil look in his eye might just beget a new era of Demon Tots!